Even a hero as powerful as Superman has battled with imposter syndrome, being caught between two worlds, questioning his place on Earth. Mental health disorders make no distinction between a superpowered alien or an average person. Superheroes are prone to a host of mental health problems and The Comic Vault has come up with six of the most common. Superheroes put themselves in chaotic situations on a regular basis. They fight constantly to protect innocent lives, so it’s inevitable that they’ll be exposed to horrific events. Many heroes suffer with post-traumatic stress disorder, reliving events over and over. Batman suffers from PTSD due to the death of his parents. On some level, the Batman identity could be described as the physical manifestation of PTSD, as Bruce chose to externalise his fears. Another character who’s struggled with PTSD is Jessica Jones, due to her mistreatment at the hands of The Purple Man. Jones turned to alcohol to numb herself, a common coping mechanism. Anxiety is one of the most usual disorders that a superhero can face. The disorder is an umbrella term that can extend to social situations or overthinking in general. Anxiety is a leading cause of panic attacks, to the point that it can feel as if you’re dying. Jessica Cruz, a member of the Green Lanterns, has battled anxiety for years. The fact that her powers are based around willpower provide an interesting contrast, acting as a reminder that dealing with anxiety is an ongoing process. The life of a superhero is often marked by personal tragedy and loss, so it’s no wonder that many have experienced depression. The condition is horrific, sapping people of their strength and the will to live. Daredevil is one of the most poignant examples of a superhero with depression. Matt Murdock has gone through a lot of pain, from losing people he loves, to being made homeless. His mother also suffered from depression, demonstrating how the condition can be passed down through generations. Superheroes dedicate themselves to protecting people, but they can’t save everyone. Survivor’s guilt is a common disorder, with the hero feeling as if they should have done more to rescue an innocent. It can make them question what they are doing and whether they have a right to be alive. The Canadian hero Snowbird battled with survivor’s guilt when her team members in Alpha Flight died. It took her a long time to get through the pain, but she was eventually able to come to terms with the loss, showing that it’s possible to move forward. Bipolar disorder is characterised by manic mood swings, with an individual swinging between depression and euphoria. It can be one of the most difficult mental health disorders to overcome, and there are superheroes who suffer from it as well. Characters like Hank Pym and Lorna Dane have bipolar disorder. But their mental health has been portrayed in a positive light because Pym was able to diagnose himself, while Lorna has made steps to get her life back on track. Both characters are from different generations, yet they are united by their condition. It proves that mental health disorders affect everyone. People who suffer from this disorder experience hallucinations, depression and split personalities. There have been a range of superheroes who’ve suffered from DID, including Moon Knight and Sentry. The latter’s case is particularly affecting because Sentry is considered one of the most powerful heroes in the world. But his disorder is also his greatest enemy, manifesting as the Void. Perhaps the greatest representation of DID is the Hulk. 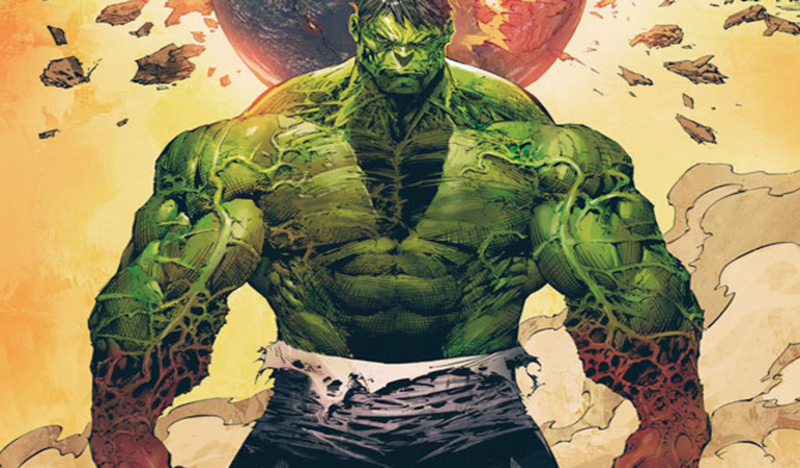 Bruce Banner’s other personality literally comes to life, acting as a destructive force. But Hulk is a hero, so he’s an example of how mental health issues don’t have to be seen as a bad quality. If you’ve experienced a mental health disorder, then remember that superheroes go through them as well. You aren’t alone and if you can learn to accept yourself and your disorder, then it’s a step in the right direction. Short story writer, comic geek and cosplayer hailing from Manchester, England. Find my pop culture ramblings on The Comic Vault. AKA: Jamie. Englishman. DC, Marvel and WWE fanboy. I loved reading this. I wish there was something about Harley Quinn, though.